Weekly Happenings: I finally feel like I’m almost back to our routine. All I need to do is add back in exercising and housework…wee, fun. 😉 We were homebodies for the first part of last week due to the weather, but once the sun came back out we did more things outside of the house. I even took Joseph to the park on Friday, which he thoroughly enjoyed (especially since kids he knew happened to be there also). The Weekly Weather: The first part of last week was sort of miserable. It was overcast, rainy, and cold. There were several days where the sun did not show its face. Those days were hard on me because it made it hard to be motivated to do anything (other than snuggle under a blanket and nap or read). I’m pretty sure I wouldn’t be able to handle living someplace like Seattle or Portland. When the sun came back out, my mood changed almost instantly. It felt so good! What Paul’s Been Up To: He’s immersed in his current classes as well as work. He also did some maintenance work on his car. It was putting off an exhaust-like smell, so he changed the air filter, added some brake fluid, and washed it off really well…he thought there might be some residue left over from when he was cleaning up and changing the battery. It seems to have done the trick! What Sarah’s Been Up To: Not too much out of the ordinary. I need to get going on picking some choir music for the next few months at least. Hopefully I’ll do that this week! I did get to host my book club, which was fun (I love being able to stay in my comfy clothes at home) and I did get to go out for dessert with friends on Friday, which was also nice. 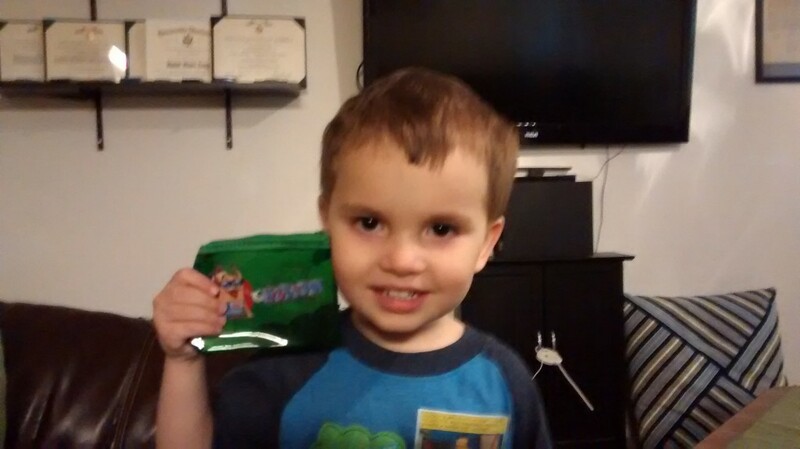 What Joseph’s Been Up To: He’s been pretty awesome this week. There were daily struggles with boundary-pushing, but who doesn’t deal with that with a three-year-old?! 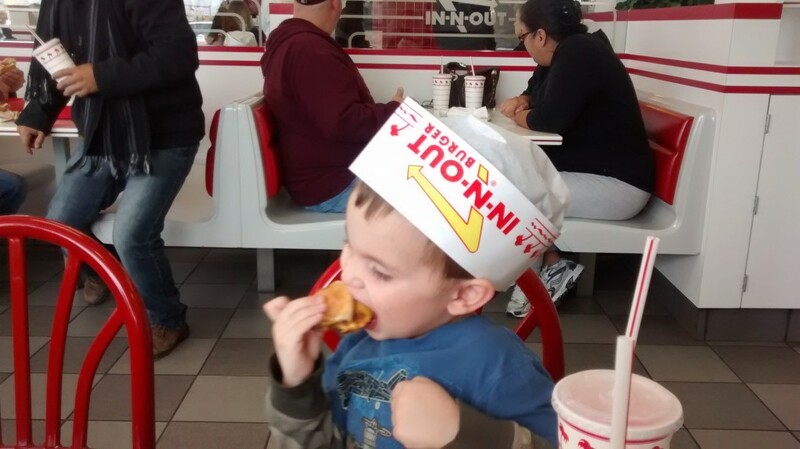 He really enjoyed when we met up with friends at In-N-Out for lunch one day…and his friend next door was getting rid of his motorized Mater ride-on toy (he got a motorized car for Christmas), so his parents passed it along to us. That just happened last night, so I don’t have any pictures of him riding it yet, but Joseph was over the moon. Lastly, he had a bit of a rocky day going to Sunbeams today. I think it finally hit him that this was the new reality for church (no more nursery) and he was bummed. He seemed happier later when I went to change his diaper (at his request) and said that next time he would be happy in Primary. Hopefully that will be the case. It just about broke my heart to leave him crying in there (not a loud, distracting cry…more of a resigned, silent cry, which actually made it worse on me). 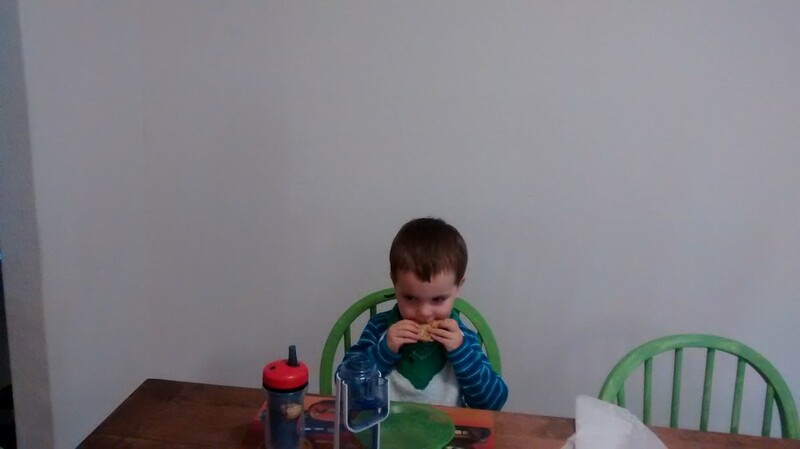 Almost immediately after breakfast one morning, he told me his belly was saying that it needed a cookie…silly boy!